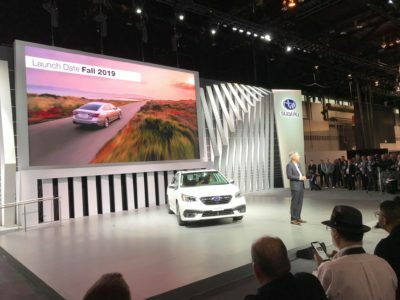 Tom Dahl, president and chief executive officer for Subaru of America, presented the all-new 2020 Subaru Legacy at the 2019 Chicago Auto Show as the new generation of Subaru’s popular mid-sized sedan. Here’s a quick overview of the all-new 2020 Legacy. The 2020 Legacy will arrive with six trims: Base, Premium, Sport, Limited, Limited XT and Touring XT. 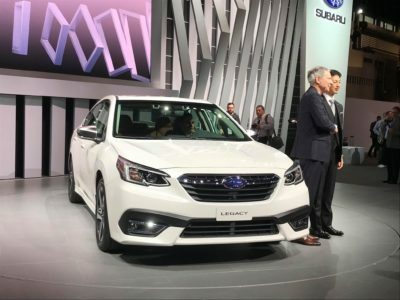 The all-new Legacy sports a healthy 182 horsepower four-cylinder 2.5-liter Subaru BOXER engine mated to a Lineartronic Continuously Variable Transmission with auto stop/start as well as the signature Subaru Symmetrical AWD with Active Torque Vectoring. The XT trims see the triumphant return of a turbocharged Legacy with a 260 horsepower 2.4-liter direct-injection BOXER engine that produces a spirited 277 lb-ft of torque. Even with all of this power, it manages to achieve a commendable 32 mpg on the highway. The exterior gives off a subtle sportiness based on Subaru’s “Dynamic x Solid” philosophy and what they called the “Bold in Movement” design that places emphasis on the wheels and a low, wide stance. An increase in trunk surface area raised surface seamlessly connects to the C-pillar for a sleek design, and the lower grille intake creates an aggressive appearance. The Legacy’s new appearance is punctuated by the available, sharp LED headlights. 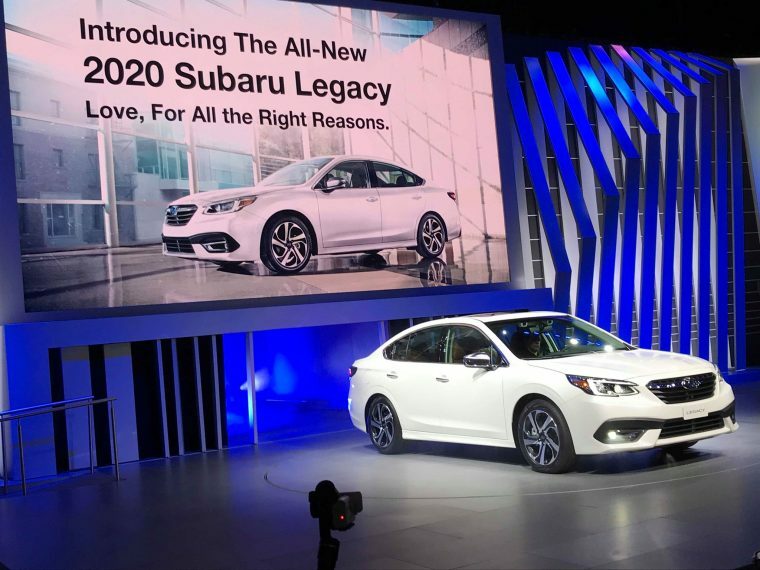 The 2020 Legacy includes a revamped Subaru Global Platform that’s more rigid than previous iterations for a quieter, smoother ride. This new platform includes an increase in ultra-high-tensile-strength steel, structural adhesive, and a floor crossmember filled with a rigid but lightweight two-part foam materials. Not only does this increase in stiffness provide a better handling and a smooth ride, it also absorbs over 40% more energy in side and front crashes than it did in the previous version. The Subaru Legacy was awarded the top IIHS Top Safety Pick for the last 14 years straight, and Subaru hopes to continue this tradition by reaching its goal for a Top Safety Pick+ from the IIHS this year. Subaru also plans to lead the segment in safety by equipping the 2020 Legacy with a host of active safety features. The new Legacy will come with Subaru’s EyeSight Driver Assist Technology, which will now include the Lane Centering Function for the first time in the U.S. paired to the EyeSight’s Advanced Adaptive Cruise Control. Other available driver-assist systems on the Legacy will include Reverse Automatic Breaking and Blind Spot Detection with Lane Change Assist and Rear Cross Traffic Alert. A Front View Monitor — which comes standard on the Touring XT trim — provides a comprehensive view of blind spots in front of the car and displays them on the 11.6-inch display when pulling into a parking spot. The 2020 will also lead the mid-sized sedan class with an available segment-exclusive DriverFocus Distraction Mitigation System, which uses 3D camera imaging and facial recognition software to detect changes in your driving attentiveness. If you become distracted or tired, the car will active a series of warnings in the cabin to re-alert you or other passengers. Three different Subaru STARLINK Connected Services packages will be offered for additional safety and security measures. The interior also receive a significant upgrade with an all-around increase in space, especially for front shoulder room and hip room. The 2020 Legacy now leads the segment with the most rear legroom, and four USB ports have been placed around the interior to charge and pair your devices. The windows are made from a thicker sound-insulated glass for the quietest Legacy ever, even to the point where Subaru claims “class-leading quietness”. 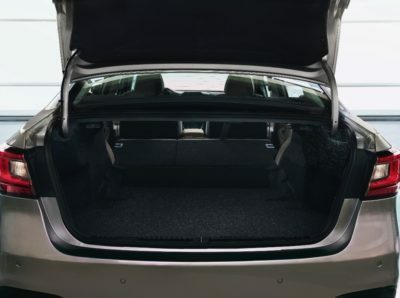 The storage consists of 15.1 cubic feet of trunk space and convenient mounting brackets for additional storage on top, which can compete with some crossovers in terms of cargo space. 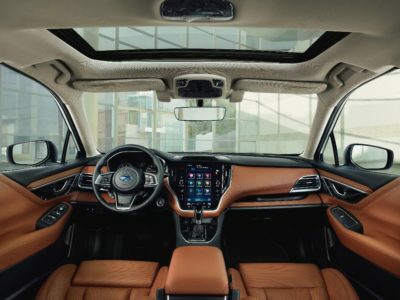 One of the more distinctive changes to the 2020 Legacy is the addition of the an available “tablet-style” vertical 11.6-inch HD Subaru STARLINK infotainment system, a giant compared to many of the standard seven and eight inch infotainment screens currently on the market. It can also use the new huge screen to show two different sets information at once through its new split-screen display. 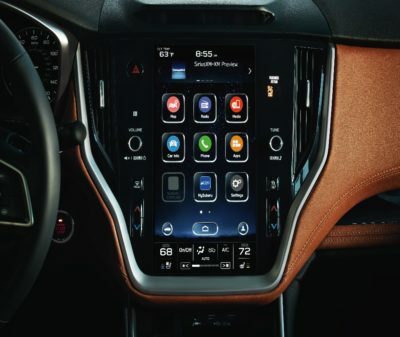 All of your expected favorites return as well, such as Apple CarPlay and Android Auto capabilities, Bluetooth hands-free connectivity, a Rear Vision camera, and HD Radio. The Legacy offers high-speed LTE Wi-Fi communications, which we expect includes up to 4G speeds at least and probably 5G as well. The upgraded STARLINK system can connects directly to your car through your phone for access to faculties like Remote Start. An available Harman Kardon premium audio system produces crisp, quality sound with Clari-Fi compressed audio restoration and 12 GreenEdge speakers. 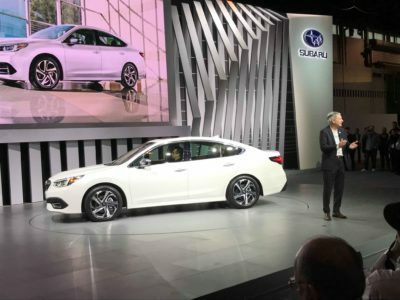 The all-new Subaru Legacy 2020 will go on sale this fall, and we’ll hear more about the pricing closer to the release date. 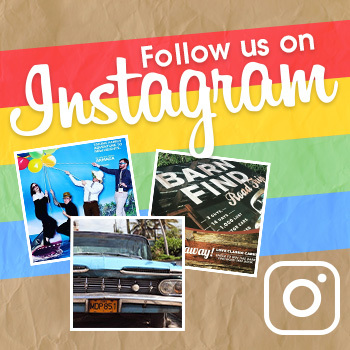 The News Wheel is live tweeting, Instagramming, Facebooking, and more from the 2019 Chicago Auto Show. 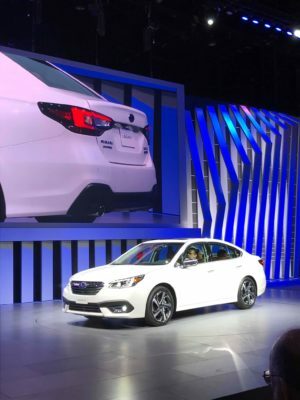 Follow The News Wheel on social media to stay up-to-date on all things CAS 2019 and perhaps catch a closer look at the all-new 2020 Subaru Legacy.